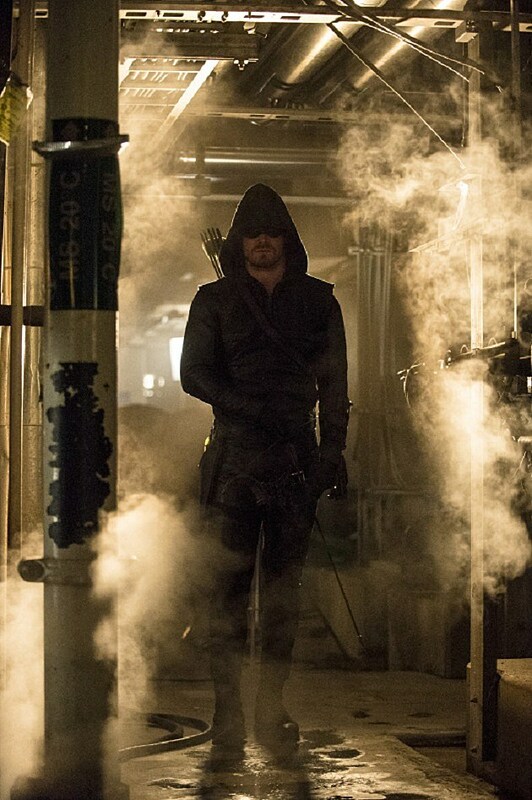 'Arrow' season 2 went all out with the action in this past week's "Streets of Fire," but will next week's finale event "Unthinkable" reach the same dazzling heights? 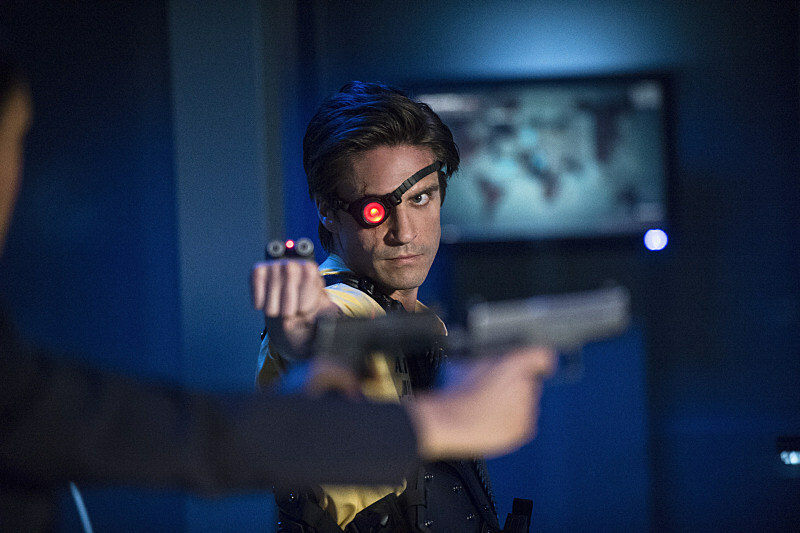 All bets are off with the full set of promotional photos for next week's finale, including some surprising returns, and dark fates implied in the war between Oliver, Slade and A.R.G.U.S.! 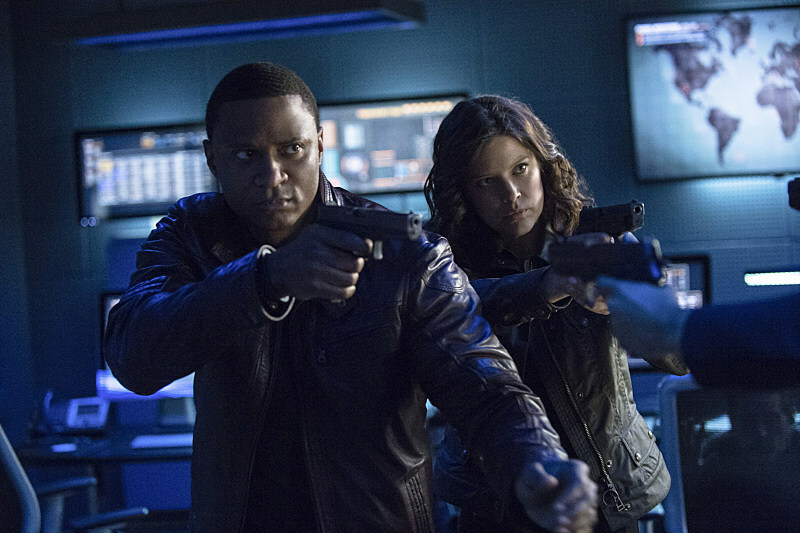 There's an impressive amount of awesome across all 25 new photos from 'Arrow''s season 2 finale "Unthinkable," so we'll try to contain ourselves. In one corner, we have a Mexican standoff between Amanda Waller, returning Deadshot, Diggle, Lyla and the rest of A.R.G.U.S., while another shot sees Oliver once again confronted by a sadistic choice put to him by Slade, this time between poor Felicity and Laurel! 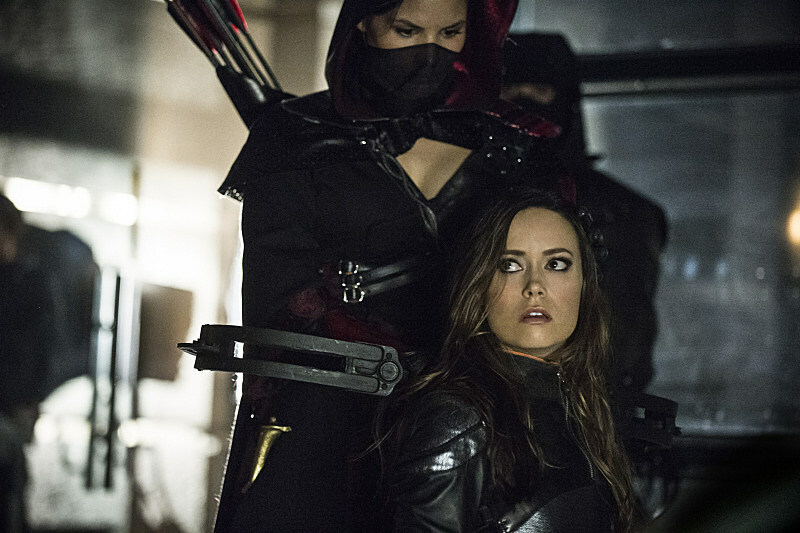 As if that weren't enough, we see Sara taking on Summer Glau's Isabel Rochev/Ravager in the Queen Consolidated offices, with Nyssa al Ghul and the League of Assassins coming to the rescue! Want more? In the above trailer, Roy Harper is once again up and kicking, and even wearing his own red domino mask! And hey, how about that neat little poster! 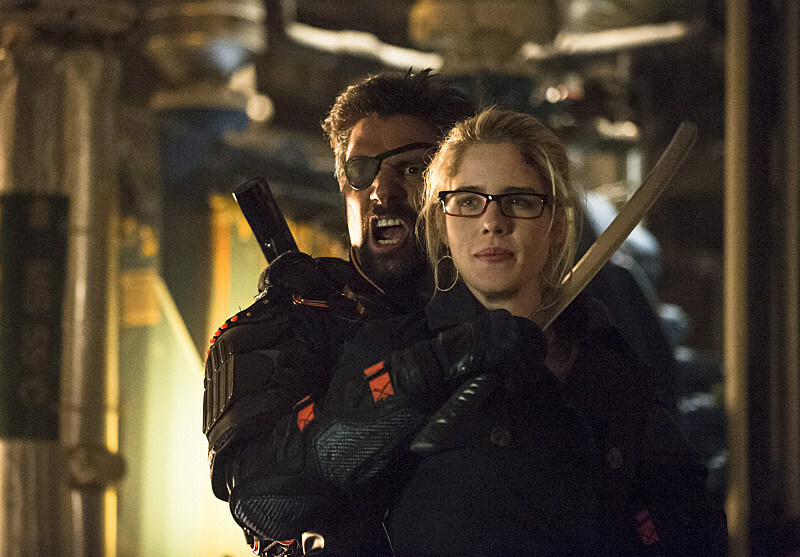 Slade (Manu Bennett) moves forward with his plan to kill one more person in Oliver’s (Stephen Amell) life. While Oliver has fought all year to be more than the killer he once was, when Slade kidnaps someone close to Oliver’s heart, Oliver is pushed to the edge and realizes sometimes it takes doing the unthinkable to stop the monster. 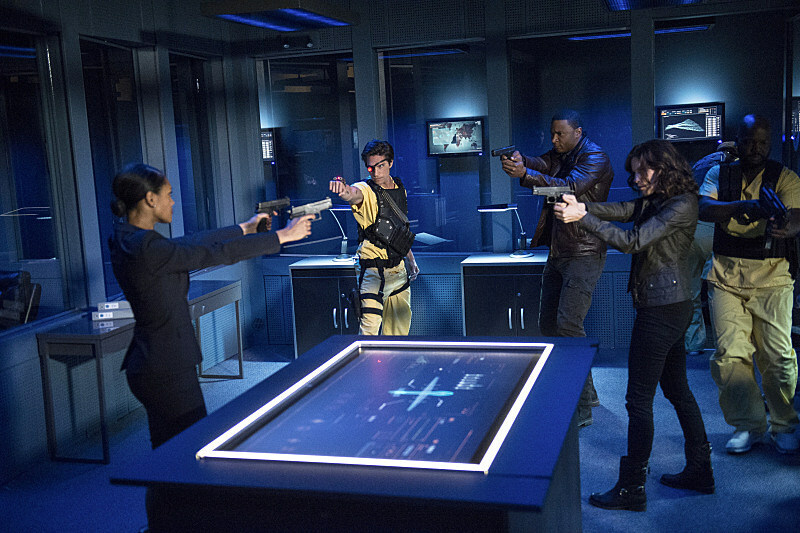 Meanwhile, Diggle (David Ramsey) takes on Amanda Waller (guest star Cynthia Addai-Robinson) with a little help from some friends, and Thea (Willa Holland) turns to Roy (Colton Haynes) in her time of need. 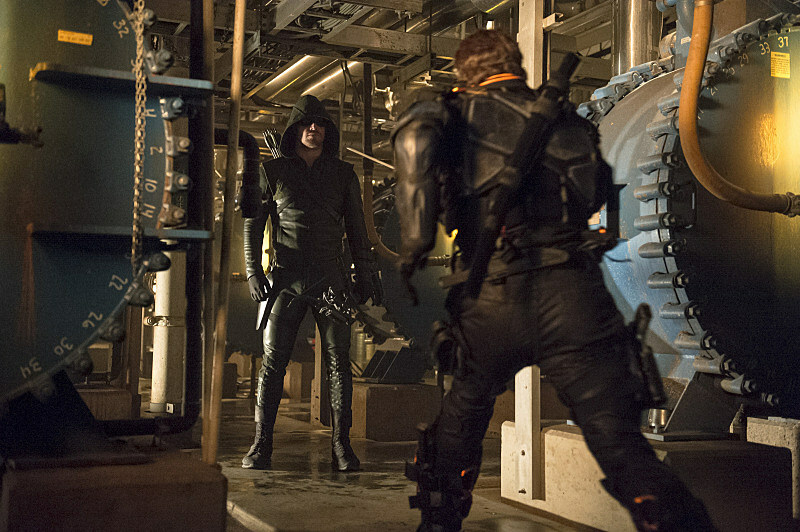 We're betting 'Arrow' will knock this one out of the park, but what do you think? 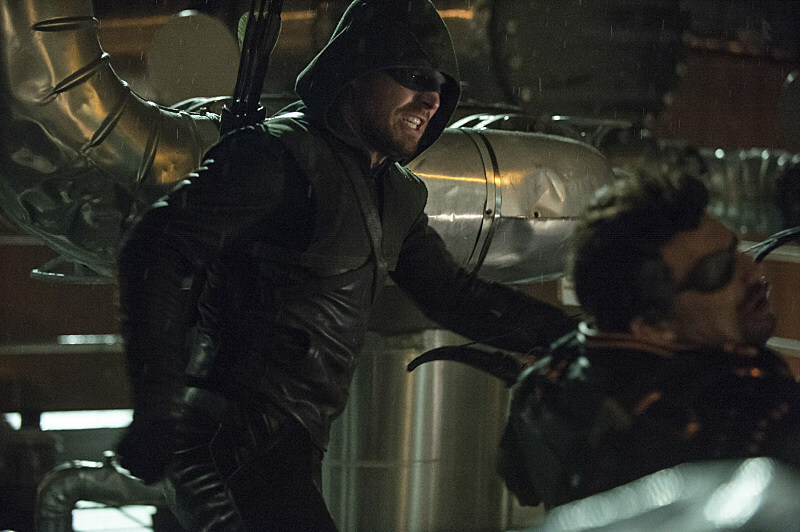 How might Oliver's war against Slade come to an end? Check out the poster and all 25 photos from next week's "Unthinkable" finale below, and give us your predictions in the comments!